Lloyd F. Colegrove is the Director of Data Services and the Director of Fundamental Problem Solving for The Dow Chemical Company. 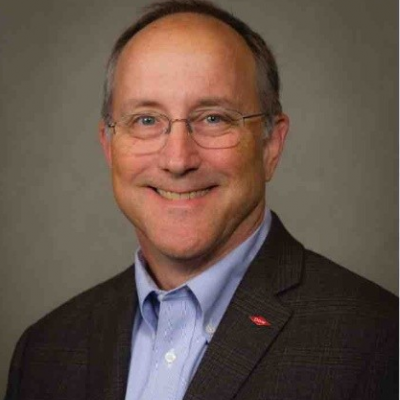 He also is the Analytics Platform Director for Dow’s Manufacturing and Engineering’s Industry 4.0 program – an expansive program to engage in leading-edge analytics programs across the manufacturing enterprise and allied functions. His desire for novel approaches to data interpretation (contextualization), and integration of these capabilities into assessing the health and capability of manufacturing assets has coalesced into the piloting, then implementation, of an enterprise data analysis and collaboration space that would tie multiple plants together with the Technology Center and R&D resources to trouble shoot in real time, or preemptively detect and alert plant trouble well before crisis. This work has been reviewed in numerous industry publications including Automation World, Processing, ARC web and CEP (AIChE). The enterprise manufacturing intelligence platform has been recognized with a 2014 Kinetics process award, a 2015 Golden Mousetrap Award, and the 2015 and 2016 Frost and Sullivan Manufacturing Leadership awards in Big Data and Analytics and the “High Achiever Award” in Big Data and Analytics for 2016 from Frost and Sullivan in Analytics. EMI also received the 2014 and 2015 Kinetics Process Award for innovation. Lloyd’s background is in Chemical Physics where he obtained a B.S. and Ph.D. from Texas A&M University. He spent 7 years in Polymer Research in Dow (R&D and TS&D) before moving into Manufacturing in an Analytical Improvement role and then a Quality Leader for first one, then ultimately to five Dow businesses before moving to establish a new capability called Fundamental Problem Solving, where top chemists and engineers work on complex, often multi-effect, plant problems. With this established, he refocused his efforts working to establish the data initiatives that support this work. Lloyd is married with two daughters and is an avid cyclist, hiker and landscaper.